It’s been another amazing day full of adventure, new friends, and lots of riding. 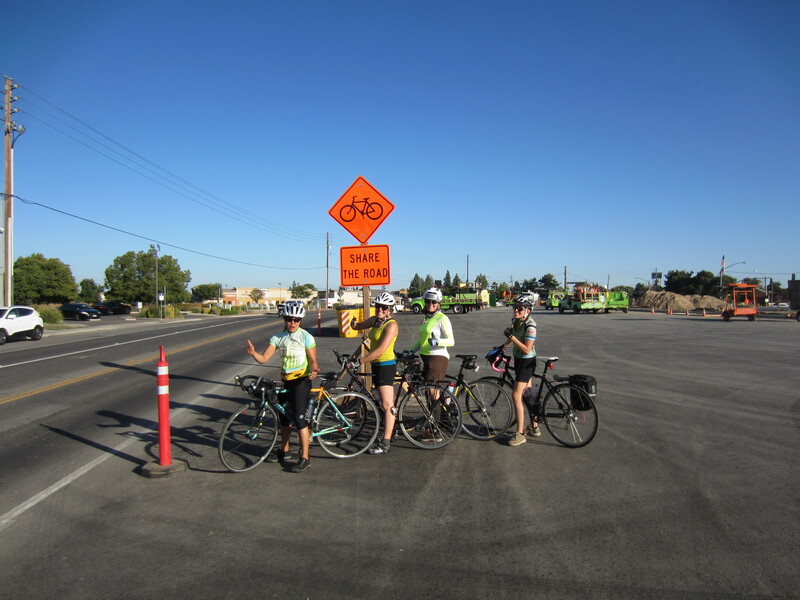 After spending an enjoyable and restful evening in Modesto with our great host, Tom from warmshowers.org, we started our day just before 7am to make sure we could get to our first stop in Ceres in Stanislaus County. 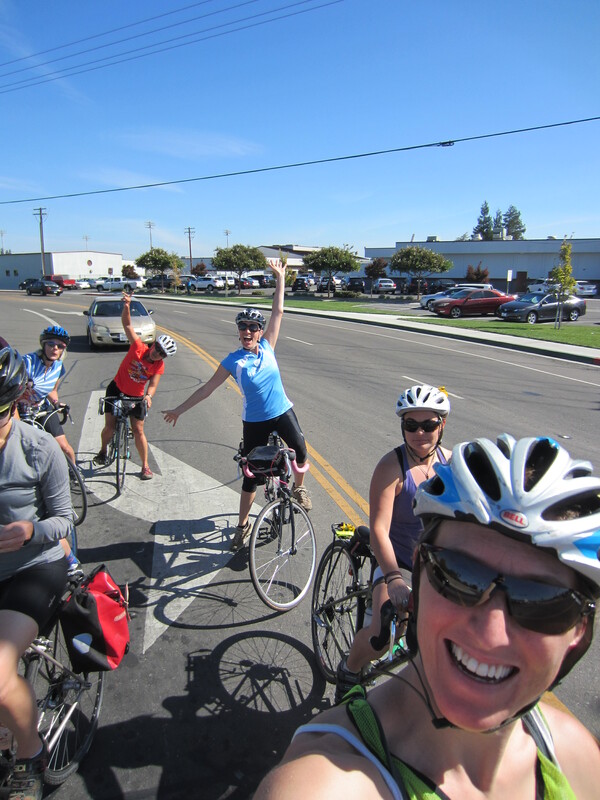 We experienced a little bit of morning traffic in downtown Modesto. 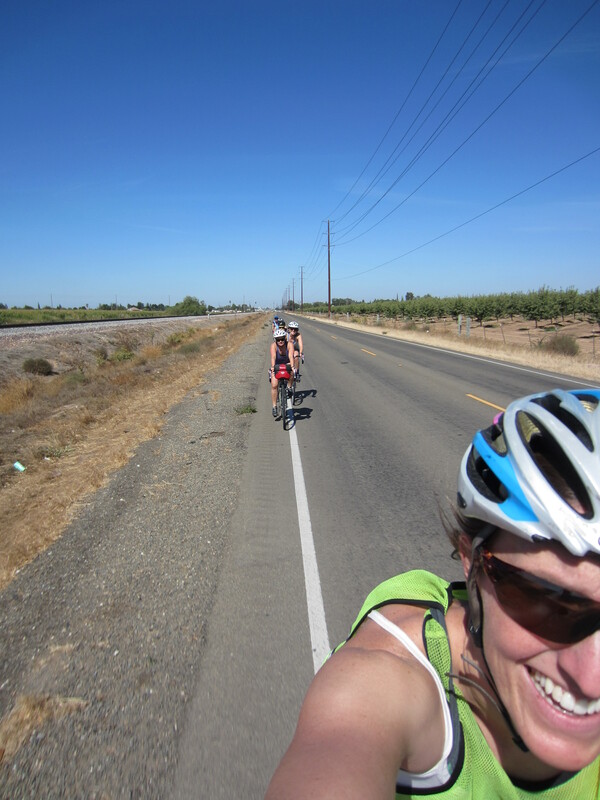 However, riding as a pack and taking the lane as we needed to, made the experience much safer and less hectic than it could have been. 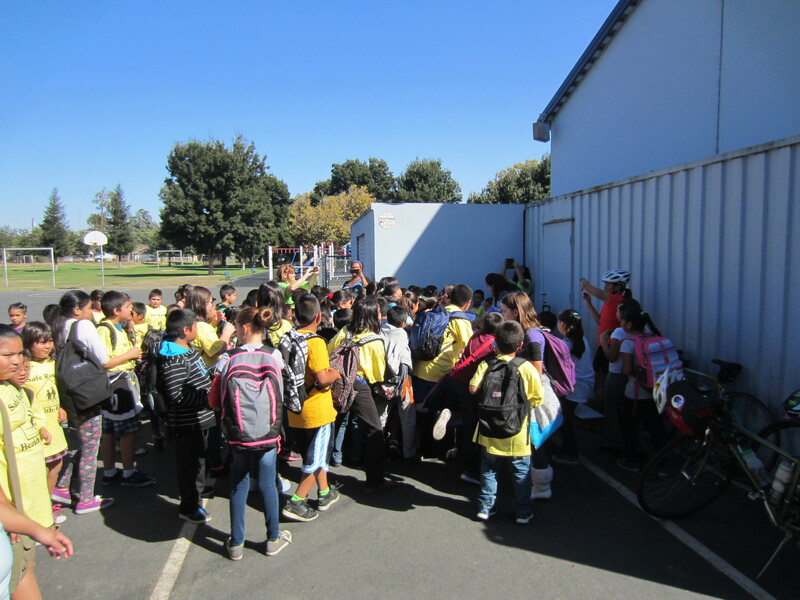 When we rolled into Ceres, we were greeted by a small group of parents (and a few young children) with cheers, waves, and lots of colorful signs in support of safe walking. 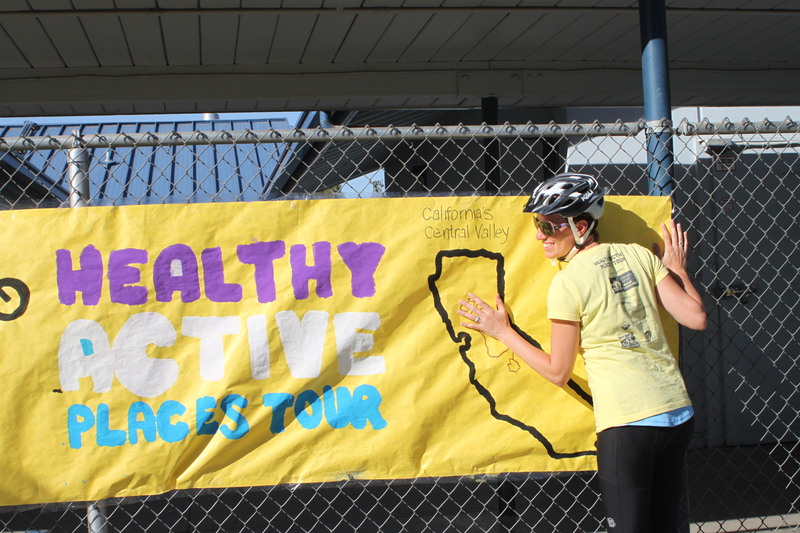 We joined in the sign-holding and cheering, which definitely got a few smiles from the students arriving at Ceres High School. Here are Jeannie and Aubree in action. 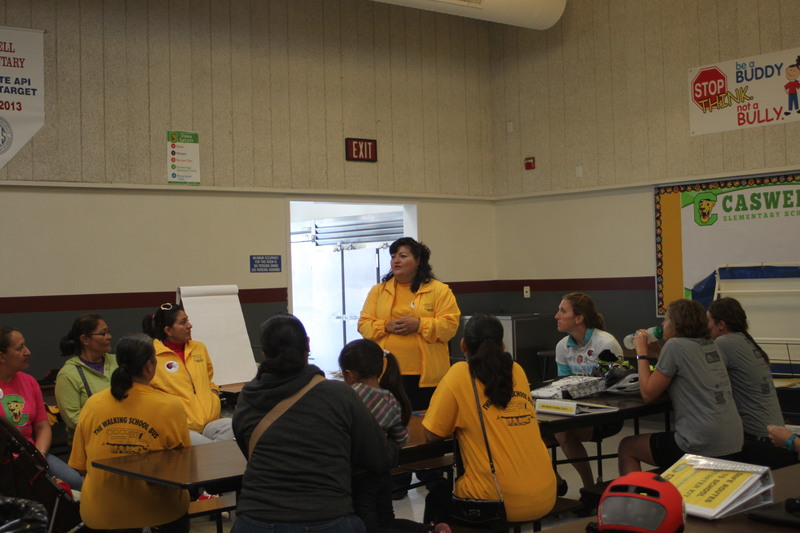 Next, we met up with the Ceres Safe Routes to School Coalition at nearby Caswell Elementary. 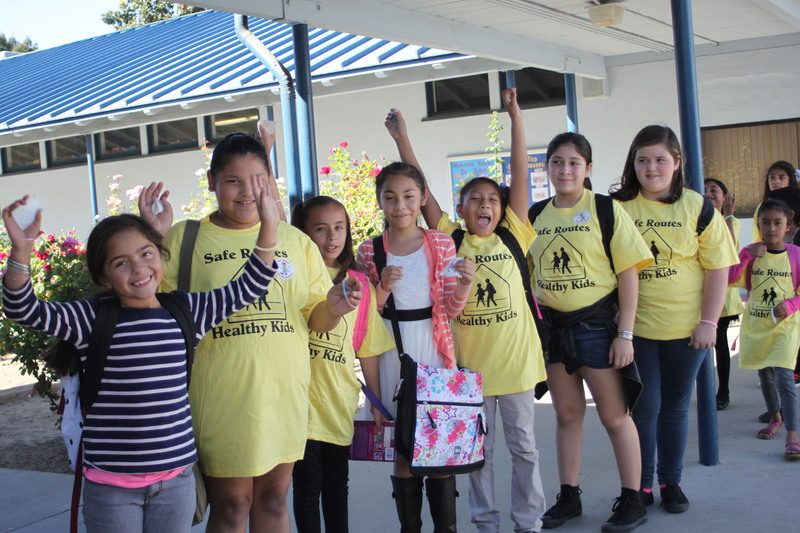 We’re impressed with how involved the parents in this coalition have been in supporting Safe Routes to School for the children in their community, and excited to hear about the City of Ceres recent awards under California’s Active Transportation Program. A big thanks to Lourdes Perez for letting us meet with the coalition and an eventful and educational morning! 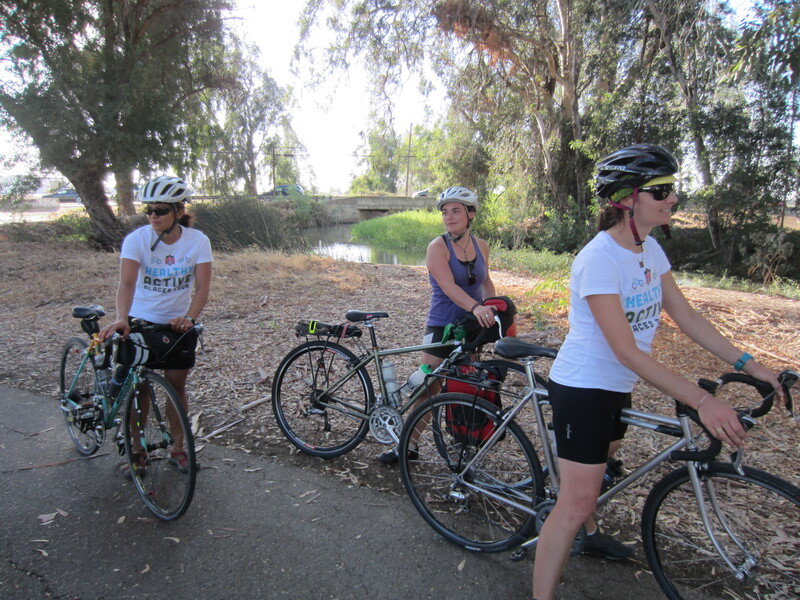 We are resting now in Merced with our awesome hosts Justin and Kristina. 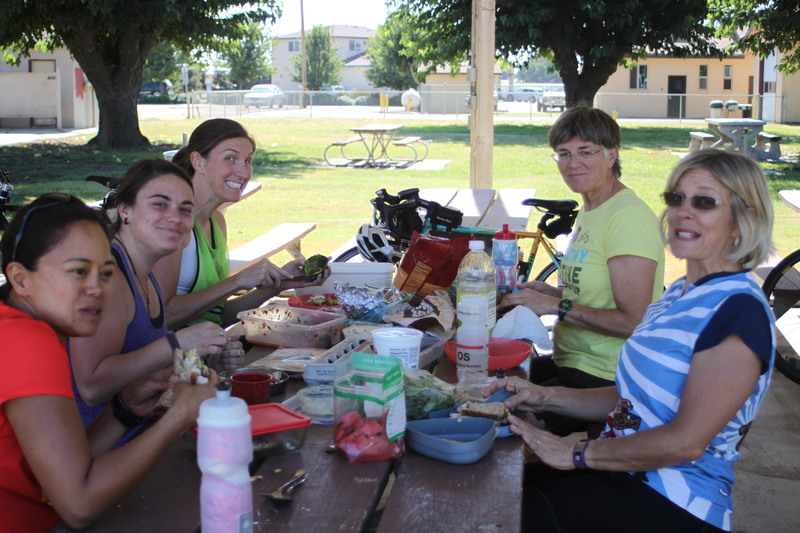 Many thanks for the dinner from the Merced Bicycle Coalition!! 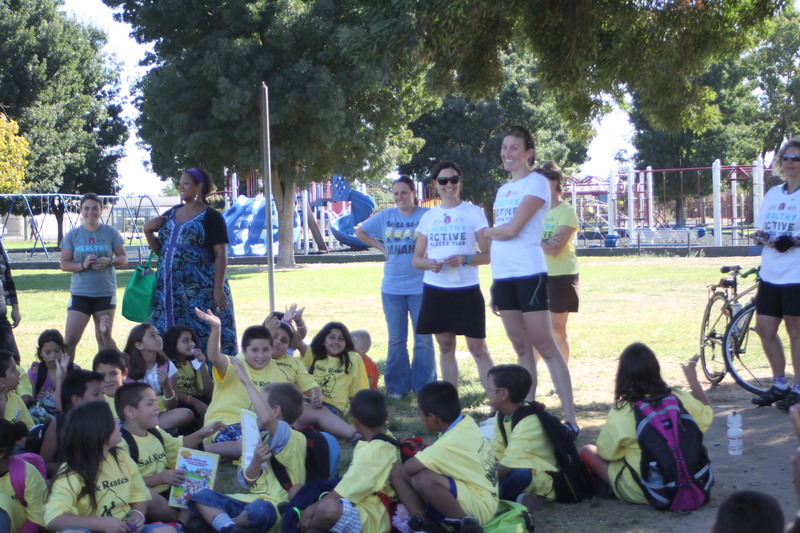 ← Crookham elementary school rocks!